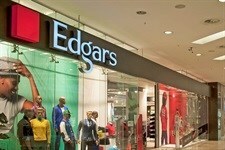 Edcon will start retrench staff at its core Edgars chain in May‚ in a bid to reduce operating costs. Edgars is undergoing transformation at some of its stores but will start staff retrenchments in May to reduce costs. The Johannesburg-based company‚ which has under-performed its peers and lost market share since its highly leveraged private equity buyout in 2007 by Bain Capital‚ is in the process of a 72-store refurbishment programme at Edgars. Although it is unclear how many jobs or what percentage of costs need to be cut‚ there are about 13‚000 people‚ including temporary workers‚ at Edgars. Edcon spokesman Debbie Millar said the restructuring only affected "some" Edgars stores but other chains in the group were not affected. Edcon also owns CNA‚ Jet and Boardmans. "Edgars has been transforming for some time now but the chain is still below its productivity and efficiency targets. Any job losses are regrettable‚" she said. 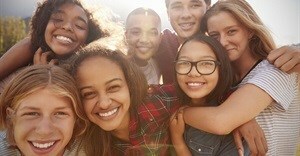 Over the last two years‚ Edgars has put in place strategic initiatives which include improved sourcing‚ beefed-up merchandising teams and the addition of global brands such as Dune‚ Lucky Brand and TM Lewin to attract footfall. The retailer is also rolling out new formats such as Edgars Shoe Gallery and has pinned its hopes on the inclusion of the Arcadia Group's Topshop and Topman brands through shops-within-shops in its key Edgars stores. Millar said the company would assist with re-employment‚ which would be offered if a suitable position arose within six months of retrenchment. Last November‚ Edcon‚ which is South Africa's largest clothing retailer‚ reported a 5.9% increase in retail sales to R6bn for the three-month period ended September. Edcon's net loss narrowed to R724m in the period‚ compared with a restated R2.7bn a year earlier. Due to the weak credit environment‚ the group ended the period with 100‚000 fewer customers able to access credit. On a 12-month rolling basis‚ credit sales decreased from 51.4% in the prior comparative period to 49% of total retail sales. The Edgars division grew retail sales 3.4%‚ and same-store sales were 1.6% lower‚ affected by disruptions from transformation initiatives. The Edgars revival project cost R443m at the time. The company will report financial results for the third quarter ended December on Thursday. Last year‚ chief executive Jürgen Schreiber said the group would open stores in Ghana and Nigeria. Edcon continues to use discount fashion brand Jet as a beachhead to move into new African markets whose emerging middle class is still price sensitive. Outside of South Africa‚ Edcon operates 154 stores across Botswana‚ Namibia‚ Lesotho‚ Swaziland‚ Zambia and Zimbabwe.